to be redeemed for cash. The situation is at tense and more shall be reported tomorrow. 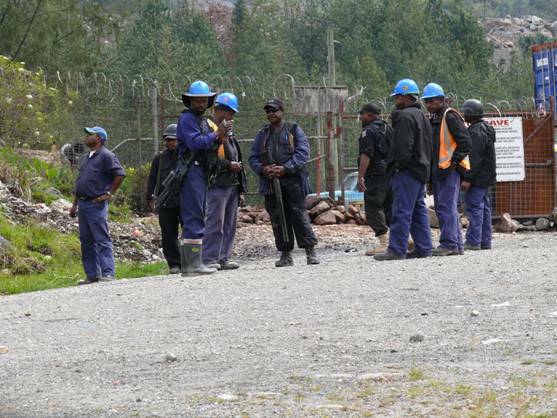 POLICE have begun arresting terminated employees of the Porgera Joint Venture (PJV) implicated in alleged sexual assaults against women and other serious crimes, with many more terminations and arrests expected in the coming weeks. Acting Police Commissioner Tony Wagambie and PJV announced this yesterday, stating that this is a result of a three-month investigation by a special police team set up last year by then Police Commissioner Gari Baki in the Porgera District and an internal investigation conducted by the PJV in line with the mine’s zero tolerance policy regarding employee behaviour of any kind of violence or human rights abuse against women and men. Those terminated also include employees who knew about the assaults but failed to report to authorities, as well as those who allegedly misled investigators. PJV said it expected its employees who saw or heard about such acts to immediately report to the appropriate authorities. Mr Wagambie has warned he will not tolerate any kind of violent and criminal behaviour against women “on his watch” and perpetrators will be brought to justice. “Enough is enough. These arrests send a strong warning to those who would assault the most vulnerable members of our communities â€“ women and young people â€“ that their actions will not be tolerated,” he said. 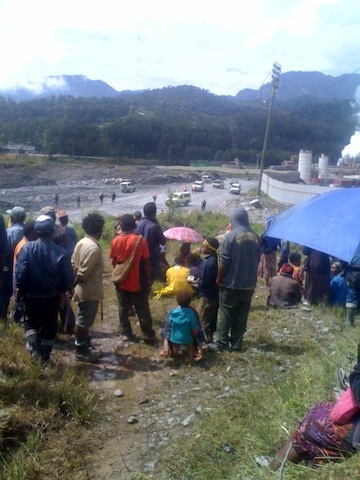 “The warning is clear â€“ respect the human rights of others and follow the laws of this land, otherwise we will find you and we will bring you to justice without fear or favour,” He said after receiving solid intelligence on these matters from the mine mangers of Barrick Gold and their independent investigators, the police moved in quickly to identify the alleged offenders. “The mine took immediate actions after the disturbing results of an internal investigation into allegations of assaults and other serious crimes,” said Barrick executive general manager Mark Fisher in a joint statement from Barrick Gold Corporation and Mineral Resources Enga. He said PJV asked police to investigate when it received credible allegations in June last year. PJV also asked Ila Geno, the former Chief Ombudsman Commissioner and a former police commissioner to conduct an independent inquiry into alleged violence against women and report the findings directly to police. 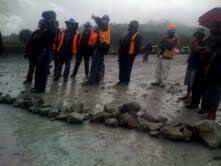 Barrick also conducted a thorough internal investigation which involved a 15-member independent investigative team. This team spent several months at the mine interviewing more than 650 employees and conducting a comprehensive investigation of staff and procedures. Meanwhile, Mr Wagambie has revealed that investigations into other reported cases, including alleged abuses by police in the same area were continuing. “No-one is above the law, even members for the Constabulary. Make no mistake – we are coming for them too. The best course of action for anyone who has information about these matters, or who has witnessed assaults or sexual assaults on women and young girls is to come forward now and report these matters to police. One more unlawful shooting to death of an indigenous landowner at the Porgera Joint Venture Barrick mine site yesterday evening resulted in indigenous landowners confront Barrick. Related to the same shooting incident, of relatives of the late victim protest at the mine site Community Affairs Office today at about 12 oâ€™clock demanding remorse for unlawful shooting and Barrick’s private security guards further discharged live bullets against harmless locals at a public place. Amongst the victims of that second shooting involved Nixon Mangape, the chief land owner and chairman of Porgera Development Authority. According to eye witness, Barrick’s private security police shot at Mr. Mangape while he was in the crowd to control the situation. Mr. Mangape received a bullet wound at his back. Porgera Landowners Association claims itâ€™s not the first shooting and use of live bullets. 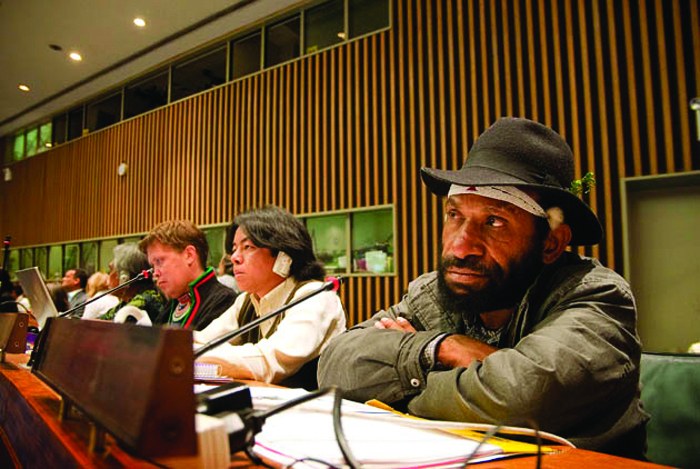 Numerous complaints are with the PNG government, the UN Human Rights Commission that include investigative reports from various reputable institutions around the globe. Shooting to death of defenseless landowners is serious human rights abuses. 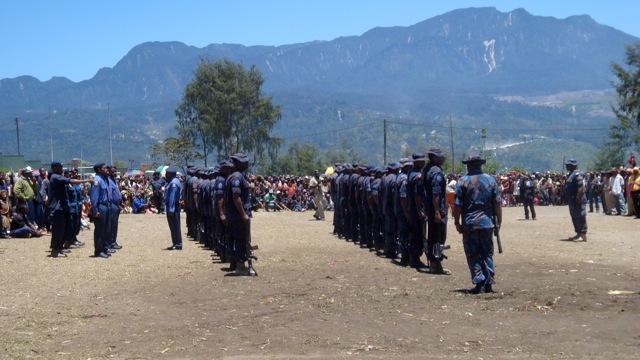 Â Therefore, the Porgera Landowners Association calls on the PNG government and local NGOs to urgently investigate the shooting and to allow law to take its course at with the police man who are involved with regular police. Further details of the report will follow suit. Barrick fully armed private police were in pursuit to destroy their evidence. 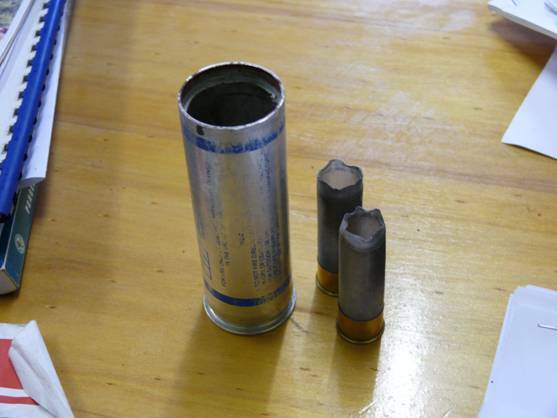 (Attached images of empty shells used and Barricks private police at the mine gate). I now call for immediate investigation on the killings and the related incident. The Prime Minister and the Mining Minister must immediately take ownership of the issue because they have failed to resettle the (SML) Special Mining lease landowners. 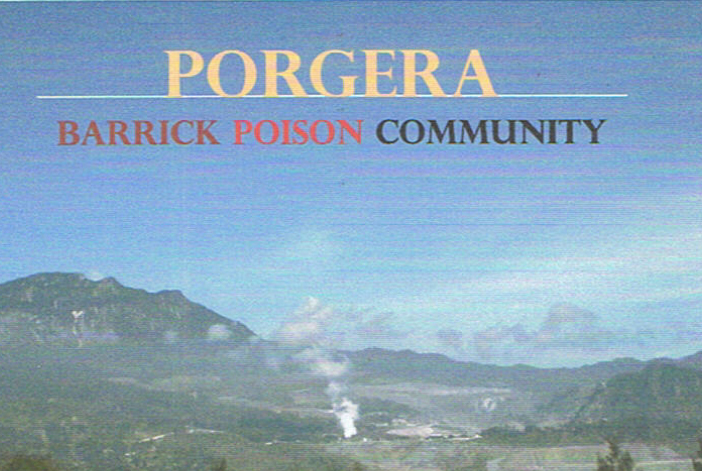 The Porgera Alliance compiled the testimonies of 25 victims poisoned from an unusually high discharge of unneutralized waste at Barrick Gold’s Porgera mine. Find attached is the report done from my end just on the 27th of JulyÂ PJV Barrick have discharged heavy pure (not neutralized) into theÂ river system (red wara). 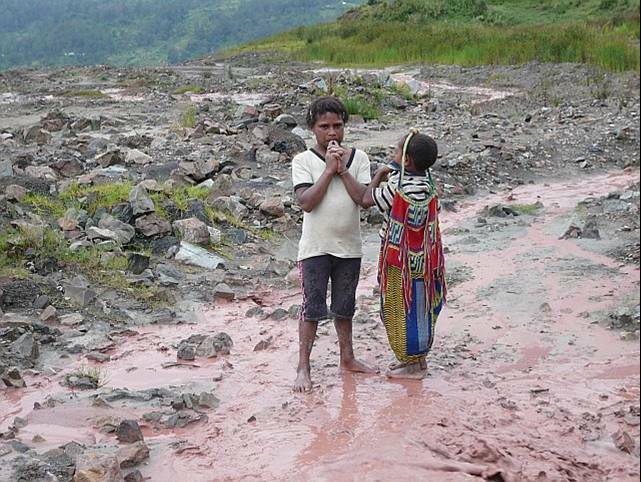 The villagers have gone down to the (red wara) panning for gold andÂ when the villagers have contacted the river they got burn up and soresÂ were all over their bodies.